Guide: Priority Pass Select Membership Including How to Get it and Details on How to Use it. Priority Pass is a global lounge network that gives members access to over 1200 airport lounges worldwide. Priority Pass membership is offered as a credit card benefit on a bunch premium travel cards. The value of Priority Pass benefits vary based on the specific credit card’s rules and whether you’re flying with guests. Priority Pass Membership is also available for purchase on their official site. The Priority Pass membership prices are steep and none of them offer guest access, this definitely makes me appreciate my premium cards bit more. 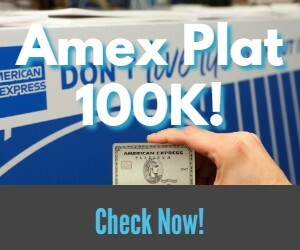 For more benefits like this check out our, American Express Platinum Card Benefits: Ultimate Guide Including Details of Each Perk and How to Maximize. Click here to compare premium travel cards! In order to enroll in Priority Pass Select you are provided instructions by your credit card company. The Chase Sapphire Reserve and both Amex Platinum Card’s have a very similar process. You navigate to the benefits portion of your account and click enroll or activate. Simple as that. Within a week or two, you will be mailed a membership card along with your account number and pin. Don’t lose your pin number. For some strange reason PP makes it incredibly annoying to do anything without your pin if you don’t have your card handy. The app logs you out periodically, so you should keep your login credentials handy or send them to someone as a back up because trying to call Priority Pass when you’re in a foreign airport with no cell or wifi is something I’d like to avoid in the future. As a matter of fact, I just decided to write it down on a post-it and put it in my passport. If you’re unable to access the app and don’t have your lounge guide you can text the 3 letter airport code to +44 7624 809977 and they’ll text you back with lounge options. This is something that you will want to save in your phone just in case. I did notice that the Lounge Listing Booklet is out of date and mine only came two days ago, so you should probably confirm lounges online. If you bring in more guests than you’re allowed for free, the $27 will automatically be billed to the card with the membership. Though my experiences have been mixed, Priority Pass seems to have upped the ante lately and given members more opportunity for value. 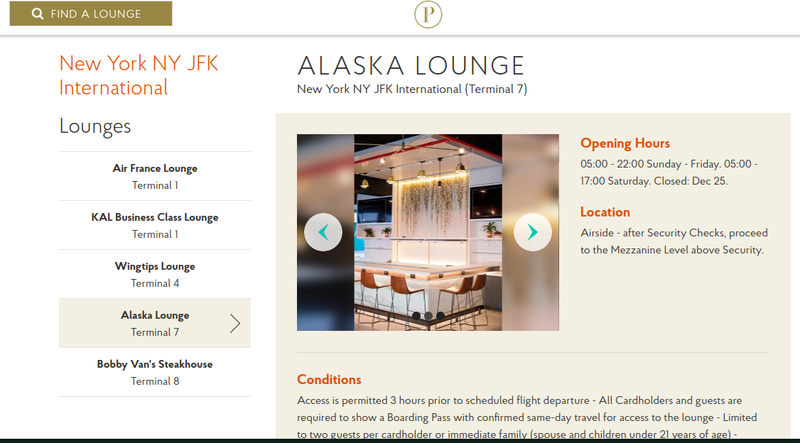 In fact, it just added Bobby Van’s Steakhouse and an Alaska Lounge to it’s offerings at JFK. They have been adding more and more restaurants into the fold instead of traditional lounges. This is a great perk where you get $28 per person to use in the restaurant. There have been a few times when I was extremely disappointed in the lounge offerings, but to be fair these were at smaller airports, like LPI in Bahamas. Priority Pass has much better coverage internationally than it does domestically. Lounge access is a great perk when travelling and Priority Pass is an excellent thing to have. Especially when it comes as a perk of one of your credit cards. How does it work if there is no “lounge” but a restaurant instead? They give you a flat fee per person to use in the restaurant. I think most give you $28 a person to use. Amex Hilton Business is $95 a year and comes with 10 passes. After $27 each visit. Bethany – nice article! Can you do one for Business cards as well please! Can you use Priority Pass on arriving flights? Often I find I am more in need of using a lounge when arriving as I might be thirsty or hungry (limited food offerings on flights) or in need of a shower on International flights? That usually comes down to the individual lounge’s rules – each lounge has their own rules on using the lounge as an arrival lounge. I’ve used Priority Pass Select on arriving flights at EWR and MCO. However, I was not allowed to use it at JFK to access Bobby Van’s Steakhouse, because I had flown Delta, while Bobby Van’s Steakhouse is in the American Airlines terminal. That’s interesting. I didn’t realize there were limits based on airline. I am just about to start business travel with a harried friend. He called me today from an airport, and was complaining about how horribly stressed he is every time in crowded terminals. I’m going to guest him into some lounges as a pleasant surprise. I believe you personally can only use one card per visit.